Closeout. 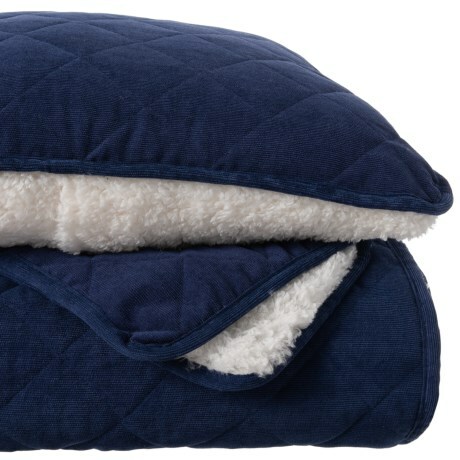 With this Lodge Living Clarence Corduroy and Sherpa Blanket Queen quilt set, a textured corduroy side gives way to a plush Sherpa side with warm synthetic fill in between - the perfect winter complement for your bedroom. Available Colors: NAVY. Sizes: QUEEN.